One of the most popular recipes on our site – for good reason! These cookies are delicious! 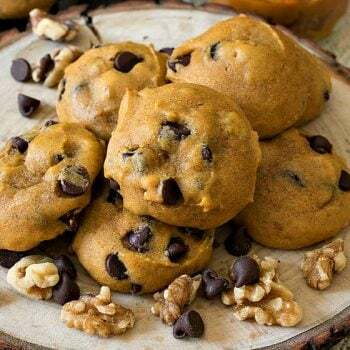 Soft Pumpkin Chocolate Chip Cookies: Sweet, soft pumpkin cookies loaded with chocolate chips and walnuts. So delicious! 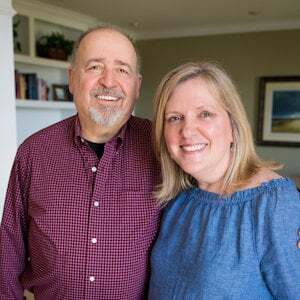 On any given day, my husband Jack and I look at each other and say how thankful and blessed we are that our children are happy, healthy and thriving. 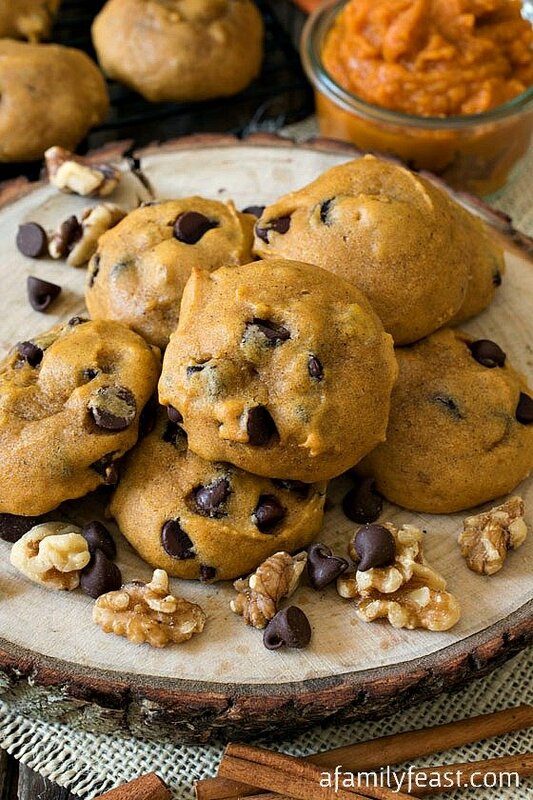 But sadly, some parents aren’t so lucky – and that’s why we’re partnering with OXO today to share a delicious recipe – these Soft Pumpkin Chocolate Chip Cookies – as part of their “Be a Good Cookie” program benefiting CookiesforKidsCancer.org. During the month of September, be sure to look for specially marked packages with this green label when you purchase select OXO products. For every item sold with this special label, OXO will donate $.25 per package** to CookiesforKidsCancer.org – a wonderful organization that provides annual research grants to five of the nation’s leading pediatric cancer centers to advance the development of less toxic, more effective treatments for children battling cancer. To learn more about this worthy cause, visit cookiesforkidscancer.org. For more information about OXO’s involvement with Cookies for Kids’ Cancer visit oxogoodcookies.com. Preheat oven to 375 degrees. Line cookie sheets with parchment paper sheets (or lightly grease the cookie sheet if you don’t have parchment paper). In the bowl of a stand mixer, combine pumpkin, sugar, oil, vanilla and egg. Mix until well combined. In a separate bowl, stir together the flour, baking powder, cinnamon and salt. In a small bowl, dissolve the baking soda with the milk. Add both the dry flour mixture and the wet baking soda mixture to the pumpkin mixture. Mix well. Add in the chocolate chips and nuts and stir until evenly combined. Using a medium cookie scoop (medium scoop is equal to 1 1/2 tablespoons), drop mounds of the cookie dough on the prepared cookie sheets. Bake for 10 to 12 minutes. Allow the cookies to cool for slightly before removing to a wire rack to cool completely. **For every stickered item sold, OXO will donate 25 cents in support of pediatric cancer research as part of its $100,000* pledge Cookies for Kids’ Cancer. Look for specially marked OXO products at participating retailers in September. *In 2014, OXO will donate up to $100,000 to Cookies for Kids’ Cancer through specially marked baking tools, bake sale matches and other fundraising efforts. Cookies for Kids’ Cancer is a recognized 501c(3) public charity duly incorporated under the laws of the state of New Jersey. Your donations are tax deductible to the fullest extent allowable by law. 100% of the proceeds raised by Cookies for Kids’ Cancer fund pediatric cancer research. Could you use extra virgin olive oil? Hi Niki – I wouldn’t recommend it. 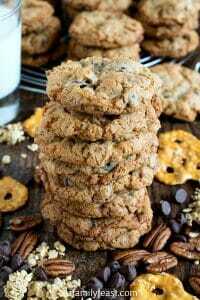 Extra virgin olive oil typically has a strong flavor that will impact the flavor of the cookies. What size can of pumpkin purée are you supposed to use?? 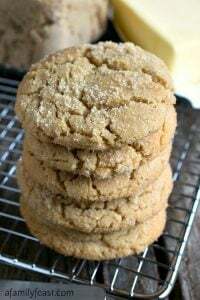 I make these but I use 1 box of yellow or spice cake mix , 1 -15 ounce can of pumpkin and 1 bag (more or less) of chocolate chips. Do NOT make the cake mix as directed on the box .Just add the 3 ingredients(cake mix by itself) and bake. I usually do it till lightly browned on the bottom of the cookies. Very easy. So I did it! I subbed a cup of shredded zucchini for the pumpkin and took out the walnuts (bc it was an experimental batch). They turned out great. Same soft cake texture. I squeezed some of the moisture out of the zucchini using a paper towel before adding it to the mixture, I think that’s kind of imperative. But just thought I’d let you know it’s possible! I love this recipe. I make them every fall since I found it, and they’re always a big hit. Do you think I could make this recipe but substitute shredded zucchini instead of pumpkin? I loved the soft fluffy texture of the pumpkin cookies and I want to replicate it while making chocolate chip zucchini cookies…any thoughts? Hi Mehgan – I’m not sure! Zucchini has more water content than pumpkin so you might not get the same texture. 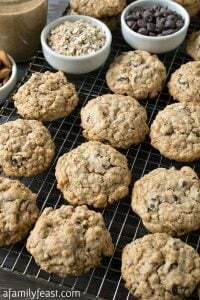 I did a quick google search for zucchini chocolate chip cookies and it looks like most recipes out there add oatmeal to the recipe (likely to absorb some of the moisture). That’s definitely an option for you – but again, the cookies probably won’t have the same soft, cake like texture of the pumpkin version. Sorry I can’t be more help (without trying it in our kitchen I’d only be guessing) – if you decide to test it out, please let us know how it comes out! Thanks Mia! I agree – never too soon for pumpkin recipes! Awesome Recipe! Great fluffy cookies not too sweet. I substituted coconut oil for the canola and they turned our delicious. Thank you! So glad you enjoyed the cookies! Did you recently post a cinnamon roll receipe? A 1 hour receipe? If so, please could you post again. Im ready to try your pumpkin cookies. Is there a difference between pumpkin in the can and pumpkin puree? Thanks! Hi Tere – it is the same but you don’t want to use the canned pumpkin pie filling which already has spices in it. Hope the helps! I made these and scooped them with an ice cream scoop then flattened a little. Made HUGE cookies (like in the store) and they taste great. I’m famous for making things blow up in the kitchen but this worked out nicely! Thanks for the recipe. Yay! So glad the recipe worked out for you Debbie! Made these cookies-so easy to make-tastes great!!! Thanks Nancy! We’re glad you liked them! Thanks Krishna! We’re glad you both enjoyed the cookies! Love how thick these are! They look amazing! Great cause. Thank you for participating. I am equally extremely thankful for the blessings in my family. So it’s important to extend a hand and a dollars to others. How love how soft and airy these pumpkin cookies look! All I need is tall glass of milk on the side! I just love OXO and everything they do for this campaign. Those are some seriously awesome looking pumpkin cookies btw…wish I had a few for my coffee this afternoon. What a fabulous and motivating post and message! Sometimes I think we take those types of things for granted. Love how puffy this cookies look. Delicious! Thank you Meg! I love that as bloggers we can use our collective voices to help out a great cause… Thanks for visiting today! What a great cause. My little one and I made pumpkin cookies a few weeks ago. Just reminds me how lucky we are that she is healthy.